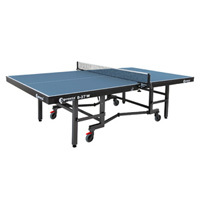 Table tennis equipment popularly called ping pong tables are a fun way for the whole family to stay fit. 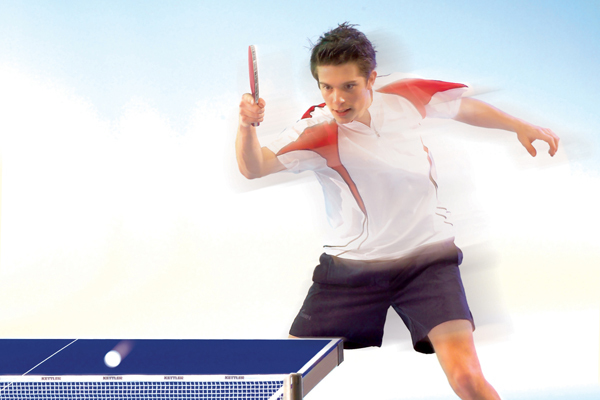 Since 1976, KETTLER table tennis technology has continued to be a leader in the field of indoor sport and table tennis equipment. The use of innovative technologies and highest quality materials as well as incessant quality control underline the statement "Made in Germany." The true play-back feature, the ultramarine blue playing surfaces with anti-dazzle, and the tabletop guide and safety systems are among KETTLER's pioneering developments. 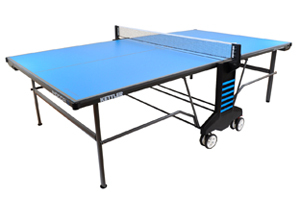 Any and every KETTLER table tennis table is built to the safest standards which exceed industry and governmental safety regulations. All models include our Dual Lock Safety (DLS™) mechanisms, have no sharp edges and incorporate a low center of gravity when they are in a folded storage position. 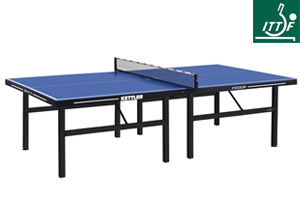 Our KETTLER table tennis selection brings fun to family fitness, with an emphasis on hand-eye coordination and mental concentration. Comes fully assembled, ready to play!! !